Growing asymmetry in India-Pak conventional military capabilities could lead Islamabad to lower the threshold for using nuclear weapons. Pakistani government may consider fielding lower-yield nuclear weapons to increase the credibility of its nuclear deterrent vs. Indian conventional military operations. Pakistan's nuclear posture is deliberately unclear with ill-defined red lines. The intent is to keep India - and the world - guessing about under what circumstances the nuclear button will be pressed - the imminent collapse of the Pakistani state, a massive attack on its cities or even reverses near the border. Pakistan's nuclear arsenal consists of 90-110 warheads as against India's 60-100. Instability in Pakistan has raised a question mark over the "extent and durability" of these proliferation reforms expressing fear of proliferation by radical sympathizers in Pakistan's nuclear establishment. Pakistan is not just producing more fissile material but also deploying additional delivery vehicles. Only a few months ago, Pakistan had shocked the world as satellite images revealed that it was on the verge of completing work on the fourth reactor at Khushab, a plutonium-producing military facility. This has led to concerns in India that Pakistan is following the Chinese model of developing low-yield, tactical nuclear weapons which will provide it a "flexible" response in case of skirmishes at the border with India. Pakistan's nuclear warheads use an implosion design with a solid core of approximately 15-20 kg of highly enriched uranium, it adds that Pakistan is also actively producing plutonium for weapons. Indian officials believe that the speed with which Pakistan has carried out work on the fourth reactor, a plutonium-producing facility, at Khushab could only have been made possible through a steady supply of uranium from China. There was no sign of this reactor in Khushab until 2009. In the past one year India and Pakistan have added 20-30 nuclear warheads. In 2010, India had 60-80 nuclear warheads but they have increased to 80-110 warheads. 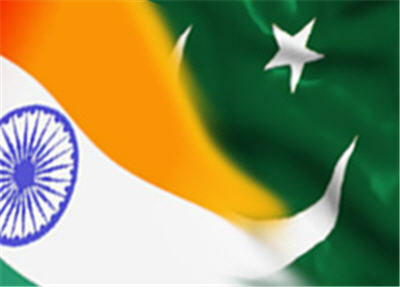 India and Pakistan continue to develop new ballistic and cruise missile systems capable of delivering nuclear weapons. India, Pakistan and six other countries -- the US, the UK, Russia, France, China and Israel -- possess more than 20,500 nuclear weapons, a drop of more than 2000 since 2009. Nearly 2000 of these weapons are kept in a state of high operational alert. What is the publishing date?